I’m sorry. I simply couldn’t help myself this morning. 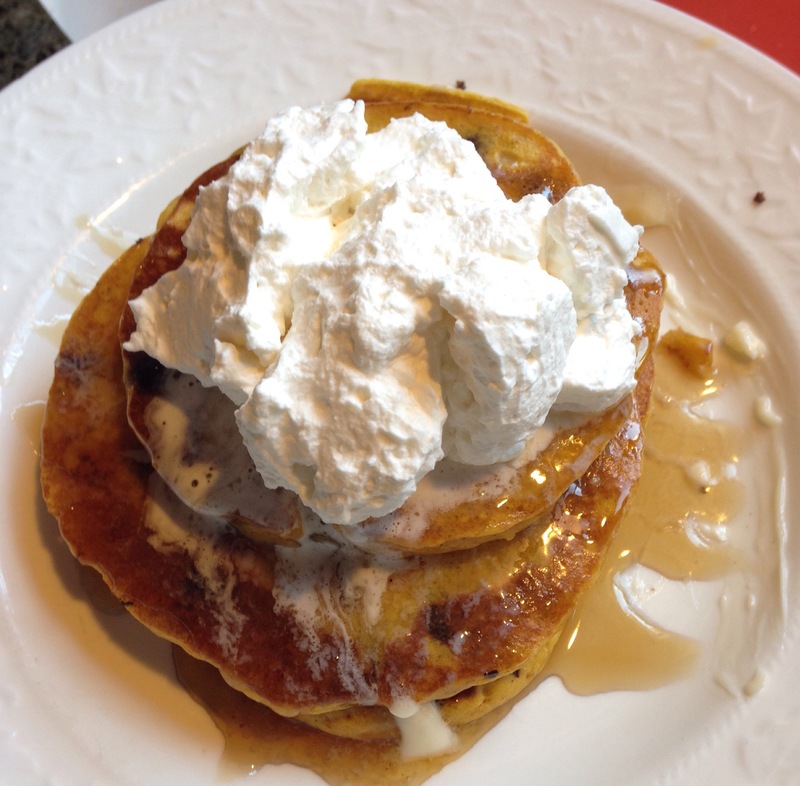 A friend on Facebook posted that she made pumpkin chocolate chip pancakes last week and I’ve been thinking of it ever since. This morning I woke up and said yes, this is the day. I started checking out different recipes online. There were so many variations! When I realized I was out of baking soda that limited my options to using Bisquik instead of a completely from scratch recipe. So this is what I did, and you’ll have to forgive my rough estimations. 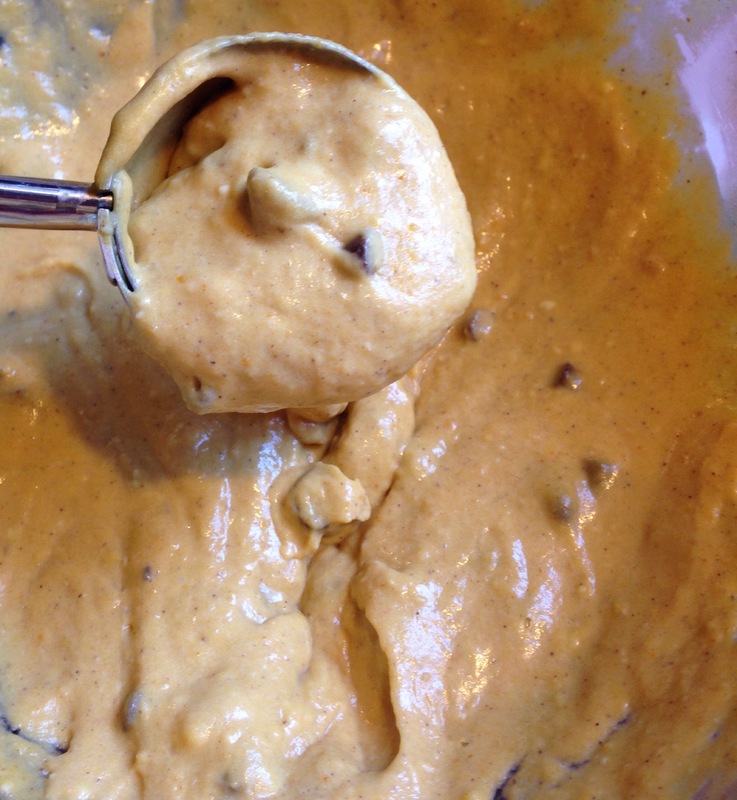 This recipe does seems to have a lot room for adjustment according to taste so feel free to be creative! Okay, I mixed all the above together and added milk. The consistency was too thick for my first batch so I added more milk & it was perfect & moist. Then I made homemade whipped cream in the mixer. I always chill my mixing bowl & whip attachment in the freezer first, then threw in a cup of heavy whipping cream, a couple tablespoons of sugar & a teaspoon of vanilla. Turned the mixer on high and it was done in about 90 seconds. 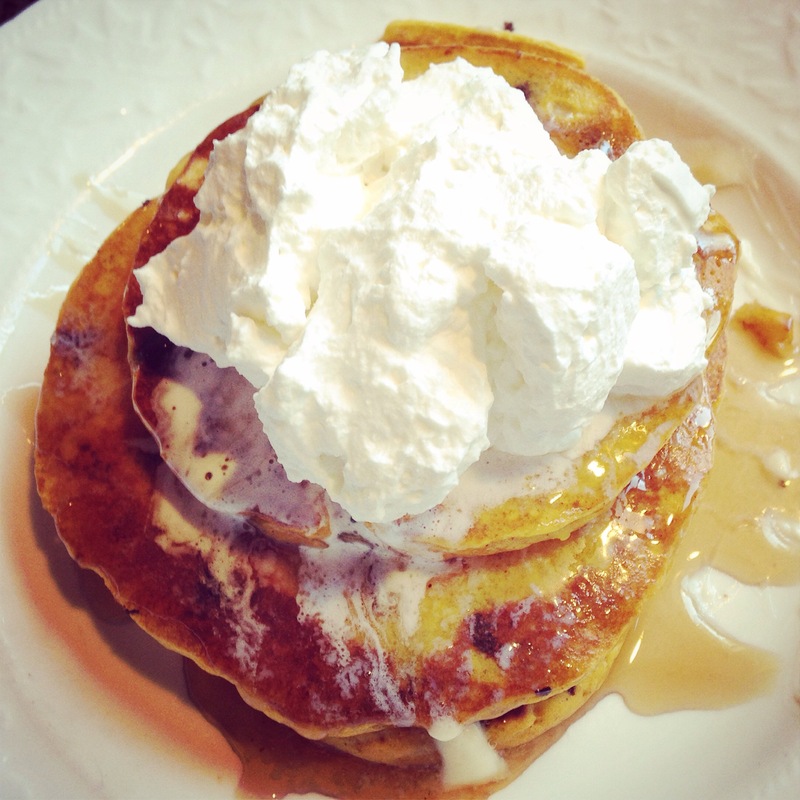 Buttered the stack, added maple syrup & a heaping dollop of whipped cream & it was so so yummy. 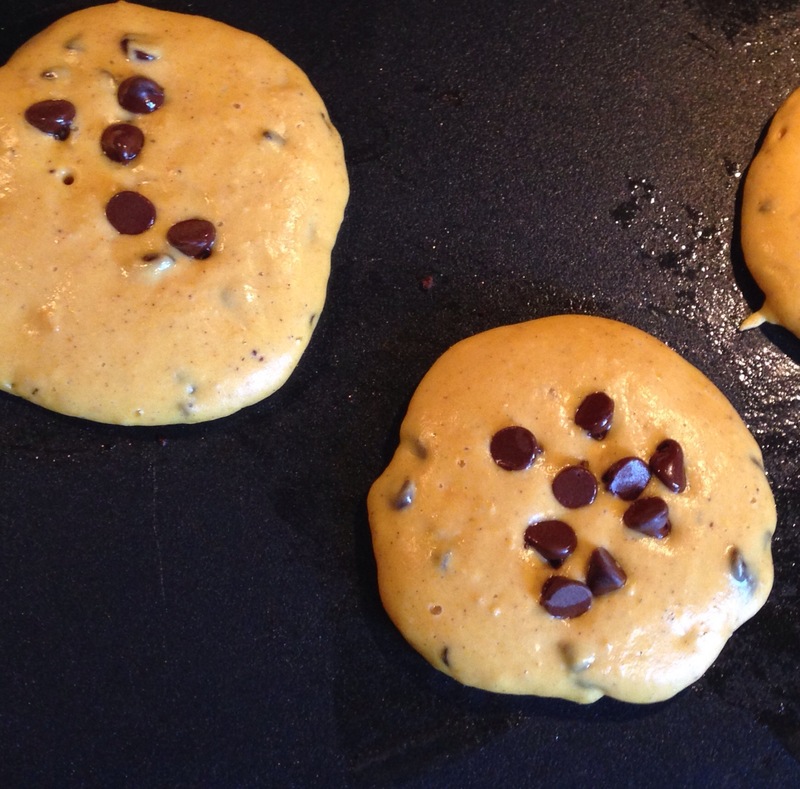 The chocolate chips were melty & soft. The pumpkin flavor was evident. The texture was moist. Just perfect! Enjoy the yummy things once in awhile! Love & light today, my dear life warriors.